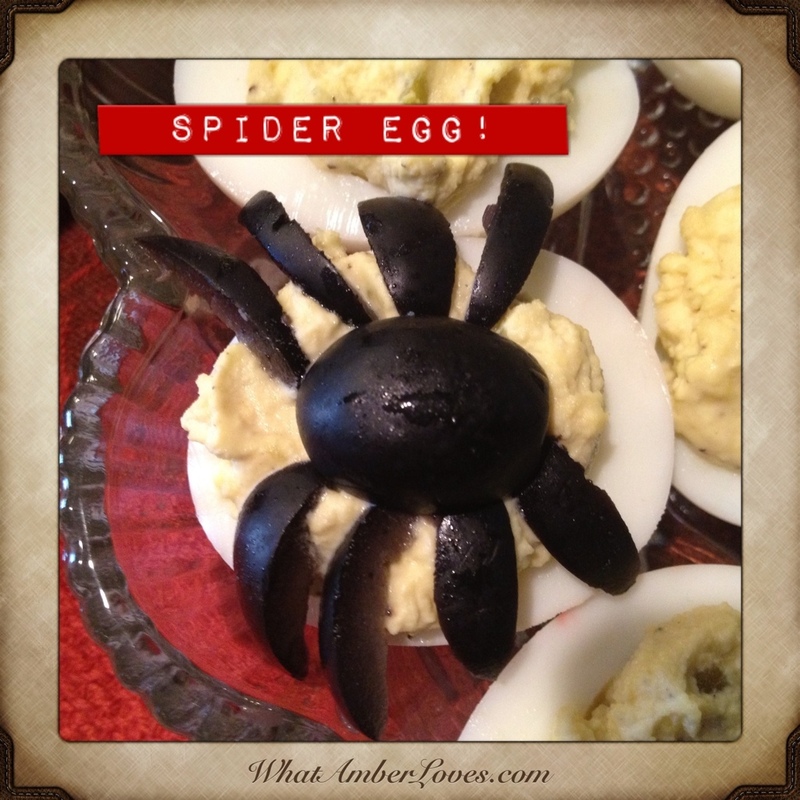 Devilled Eggs embellished with black olive spiders are an addition to our brunch on this Sunday before Halloween! Hard boiled eggs, split in half. 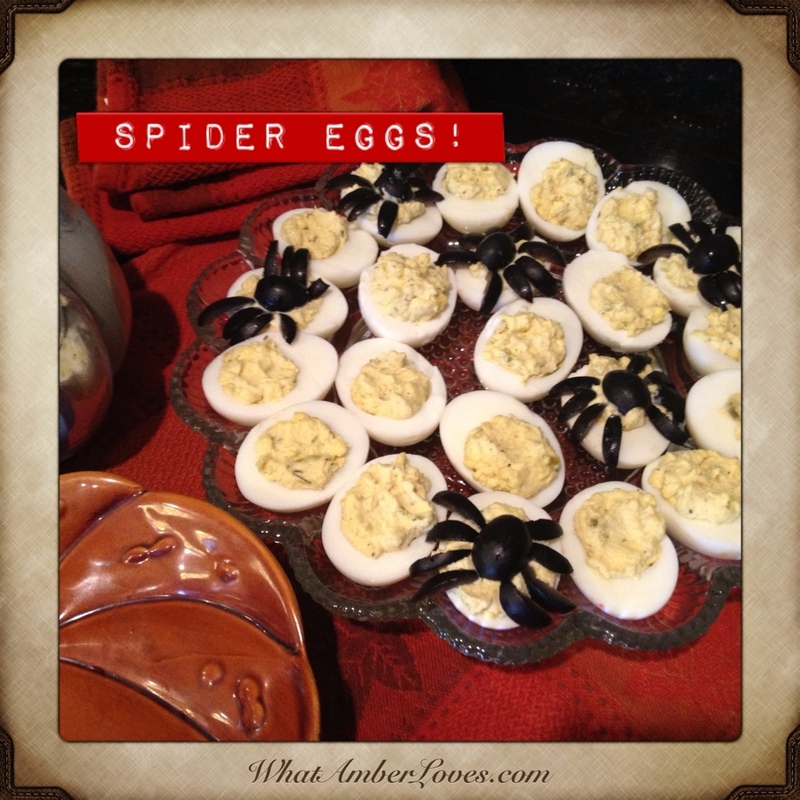 Yolks removed and blended with mayo, sweet pickle relish, garlic powder, salt, and pepper. Refilled and Dressed with black olives!